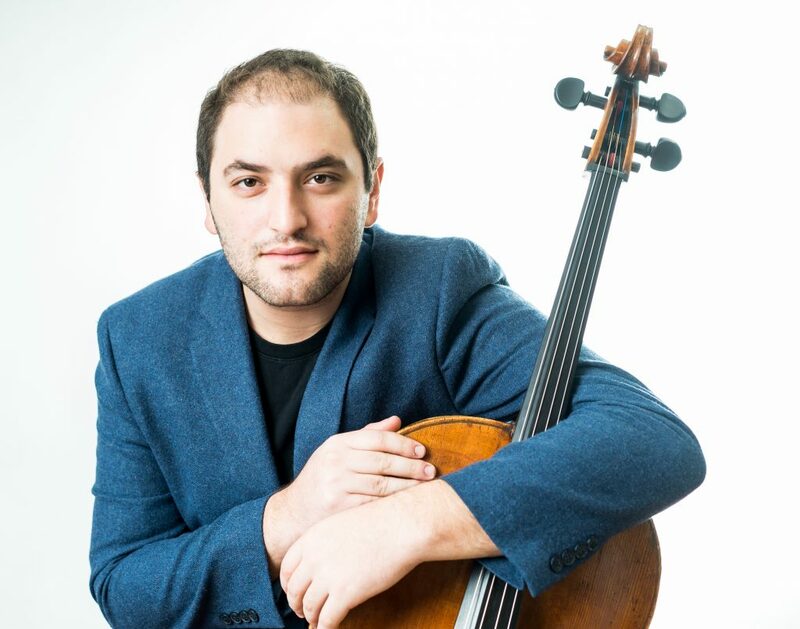 Conductor Gerard Schwarz has become a regular guest of the Symphonia Boca Raton over the past three seasons, and his cellist son Julian has occasionally accompanied him. Both were on hand Dec. 10 for the opening concert of the Symphonia’s season at the Roberts Theater on the campus of St. Andrew’s School in Boca Raton, where the son gave the world premiere of a piece his father had written for him. Gerard Schwarz’s Rhapsody is a short, intense mood piece very much in the mode of the mid-20th century American composers, with an insistent three note-figure that opens the work and serves as a unifying device for its fervid tonal language. Julian Schwarz, a first-rate cellist who has now made repeat appearances with this orchestra, played with bravura and commitment, particularly in the cadenza, which in its extravagance seemed to belong to a much more nakedly virtuosic piece. Still, the chief motif gave the piece shape, and while it wasn’t imperishably memorable, it was well-scored and dramatic enough in its narrative arc to seize the large audience’s attention. It could easily fit on a program of contemporary music, and it would also pair well with other works of its temperament such as the First Cello Concerto of Shostakovich or Ernest Bloch’s Schelomo. The younger Schwarz stayed on stage for a second solo work, the familiar Rococo Variations of Tchaikovsky, which pays affectionate tribute to the composers of the Haydn and Mozart era in its neoclassical layout and language. His instrumental skill was impressively on display here, with a confident sound and attack to go along with technical capability. That said, his intonation was a little off the mark in one or two of the high-register flourishes. The concert opened with another soloist, Symphonia artistic director and trumpeter Jeffrey Kaye in the Sonata in D of Giuseppe Torelli, a pocket concerto in everything but name and beloved of trumpet players everywhere for its impressive and beautifully effective solo writing. Kaye is a performer whose natural power always comes through, even when he’s playing softly. Kaye played this short piece with style and tonal warmth, and Schwarz led the accompaniment with delicacy and restraint. It made for an attractive concert opener and a nice partner with the Tchaikovsky that followed. The concert closed with the Symphony No. 2 (in D, Op. 36) of Beethoven, a masterwork that gets overshadowed by the more monumental of the nine symphonies, such as Nos. 3 and 5. But it is a great piece, still strongly influenced by Haydn, but with a quirky spirit all its own. With the occasional exception of some less-than-ideal ensemble intonation in the violins, the Symphonia here sounded like a seasoned band, well-rehearsed and in thorough command of the music. There wasn’t anything too fancy here, just a straightforward reading of the piece that emphasized its youthful vigor. Schwarz knows every bar of this symphony inside out, and judging by his fondness for programming standard works of the Classical canon (his last appearance included the Symphony No. 39 of Mozart) with this orchestra, it seems as though he’s making sure the players have these pieces under their fingers and at the same time reminding the audience of the centrality of pieces such as this symphony. This performance also had admirable contrasts and colors, especially in the second movement, which has a main theme more akin to Mozart than Haydn, and a tastefully dramatic development (with a preview of the string figure he would use in the slow movement of the Ninth). Schwarz brought this all out with skill, and without making it over-Romantic. The conductor’s tempos were carefully planned, which paid off handsomely in the finale, which can easily go off the rails and sound like a mess. But here the wacky main theme was muscular, with a promise of latent power; the final pages built steadily to their exuberant climax without getting chaotic, a choice that outlined how skillfully this piece is written, and how effective a well-played performance can be. Editor’s note: The posting of this review was delayed by technical difficulties.